Duchy Cars run a Tesla S Chauffeur Service for Cornwall, Devon and the Southwest. We are very excited to be the first chauffeur company in Cornwall to invest in a luxury Tesla for Airport Transfers and VIP transport. As a family run business, we understand the importance of looking after the environment for future generations to come and have been very impressed with the perfomance of the Tesla S, in terms of comfort and ride. 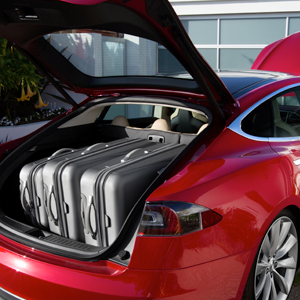 If you are interested in travelling in style, with zero impact on the environment – the Tesla S is for you!